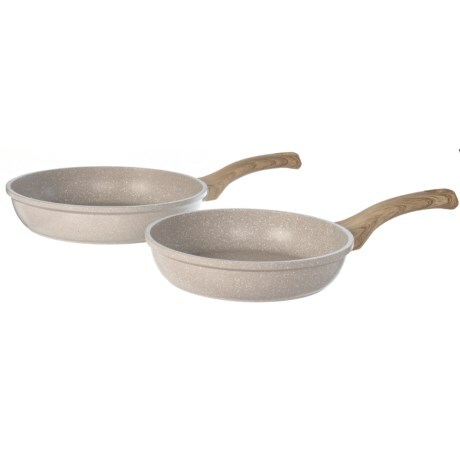 Cast Aluminum Speckle Frying Pan - Set of 2, 9.5? 11? CLOSEOUTS. Warm up your favorite skillet meals and more in these lightweight, nonstick Masterclass cast aluminum speckle frying pans. Available Colors: BEIGE.